It’s such a good feeling when you realize you’ve been doing a basic chore wrong your entire life. 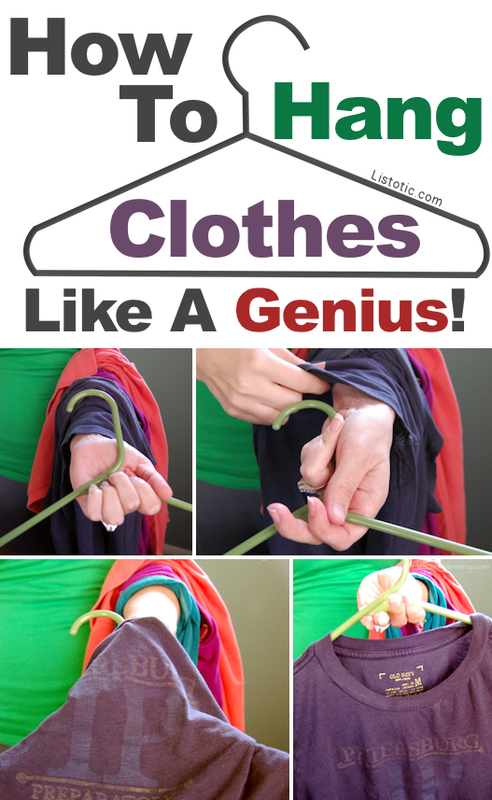 If I were to add up all of the time I’ve spent hanging up clothes versus how much time I could have spent hanging up clothes, I’m certain that number is somewhere around 3,000 hours (give or take a lot of numbers). If you’re like me and you don’t get what’s going on in the photos, just go check out the video. I’m going to start doing this just because it looks like so much fun. Fold, roll, tug and scrunch. That’s if you want the J. Crew look — you know, effortless looking but awesome. Although I wouldn’t button up my shirt all the way to the neck and wear a denim shirt with jeans, but remember, I’m only a 5 when it comes to style and fashion. I’ve lost more hoodie strings than I can count on one hand. This is why in my wise old age I have discovered that if you make a few knots in the ends of the string, it’s less likely to get lost through those holes. But, let’s just say you didn’t do that, and one get’s sucked in there. There are a few ways to rescue it! 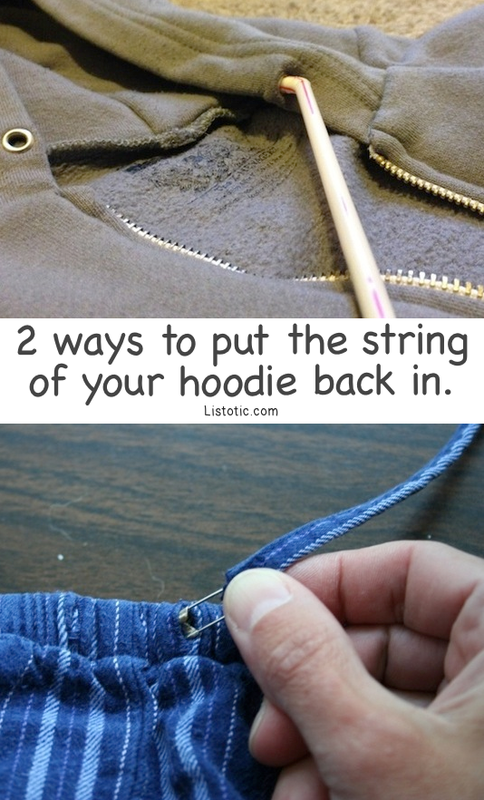 If it falls all the way out (if it doesn’t, pull it out), you can push one end of the string through a straw, staple it on, and then push it back through the narrow tunnel of your hoodie. 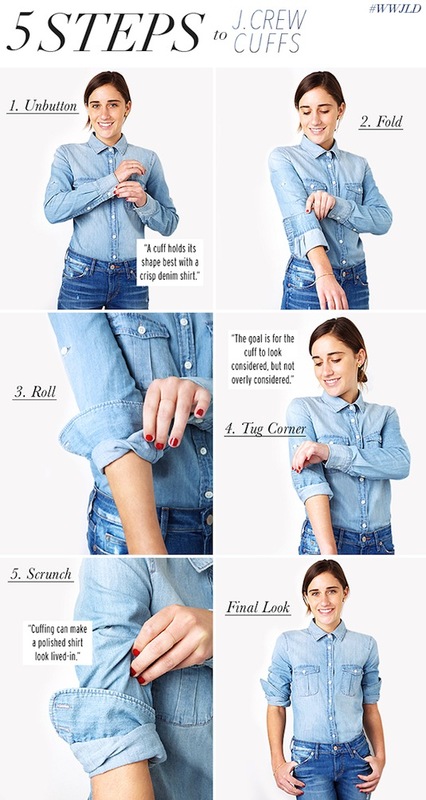 You can also attach a safety pin to one end (gives you something hard to grip through the fabric), and use your fingers to guide it though the channel.